On her ninth birthday, Rose Edelstein takes a bite out of her mom's homemade lemon cake. On her birthday, however, she is given a gift - or a curse - to be able to taste the emotions of the person through their food. Despite her mother's cheerful attitude, Rose discovers that her mother is unhappy and disappointed, and that the rest of her family is keeping secrets from each other. Aimee Bender has a creative style of writing. I was really confused at first because of the way she wrote her dialogues; they're italicized. She also had an original plot. I thought that tasting emotions through taste buds was a brilliant idea! I felt that the book was very disorganized and all over the place. She introduced her mother and father's problems but she didn't elaborate on them. I was left very confused over WHY some things happened in this novel. I also felt the same way about Rose's brother who seemed to be slipping away from reality. Overall, I felt like this book was unfinished and that there were too many details that were missing. I would not recommend this book to young readers. I first picked this book up in seventh grade and it was a very difficult read. I don't think the characters in the book are developed well enough for the readers to understand them, and because I couldn't understand these characters, I didn't feel the need to care about what happened to them in the books. I felt really detached from the plot. If I had nothing else to read, I would read The Particular Sadness of Lemon Cake, but I didn't feel like it was worth trying to understand Bender's writings. Fast Track is a story about Cordie, a teacher in Chicago. After Cordie's father dies, Cordie decides to find her mother who has been absent for most of her life. She and Aiden, her friend since childhood, fly to Australia to track down her mother. Once there, Cordie faces danger as her mother's family is determined to erase Cordie from their family history. Fast Track, like the name suggests, is a fast-paced and exciting read. There are however, lots of scenes with more mature content that may appeal to older teens. I would recommend this book to fans of action and mystery novels. 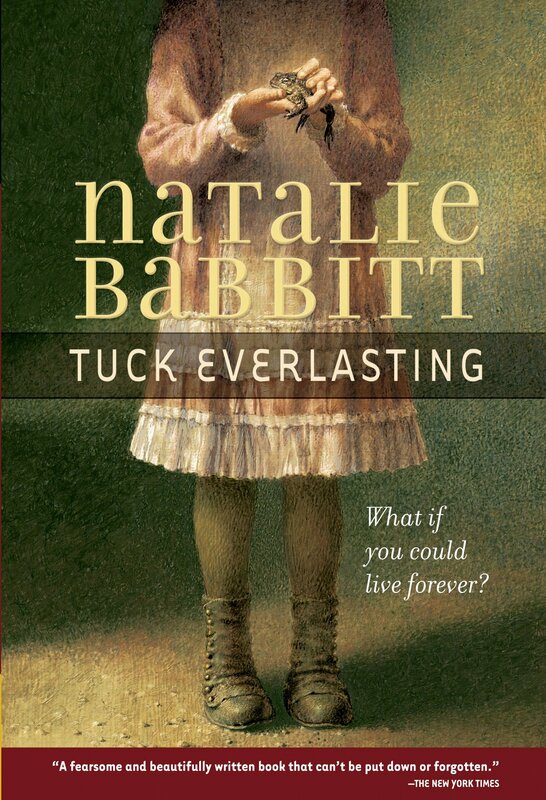 Tuck Everlasting revolves around a 10-year-old girl named Winnie who stumbles upon a spring that bestows eternal life. The spring is kept secret by the Tuck family, who have been blessed (or cursed) with this everlasting state of undying. When Winnie stays and bonds with the Tucks for a few days, she gains insight into the implications and meanings of such a secret. However, a stranger also knows of the spring and wants to market it to make a fortune. I liked Tuck Everlasting; the novel was a simple, yet beautiful, read. Thought-provoking themes such as mortality, life and death, and morality are woven into the story and looked at from Winnie's point of view. And above all, these themes make the reader think. For instance, many in our society today look at death with fear, but SHOULD it be seen that way? Or should it be taken as a natural component of the wheel of life, as the Tucks see it? I recommend this book to children who are old enough and ready to contemplate these themes, as these play a big role in making the book so magical. I would also recommend Tuck Everlasting to adults and anybody who enjoys fantasy. When a photo of Quinn kissing another boy surfaces while her boyfriend, Carey, was in Afghanistan, she is condemned and ostracized by her military town who accuses her of being a traitor. Quinn, however, has information that can clear her name, but was sworn to secrecy by Carey. Facing constant humiliation, she battles between keeping the secret and enduring the pain. If I Lie is a definite page turner. It causes the reader to sympathize for Quinn's situation, but also admire her for being a strong female character who endures pure chaos. This book is worth checking out. It has a great female character and it draws the reader in quickly. Girls and boys can both enjoy this book. Many will be able to relate to the main character's situation of being the outsider. This book is about a group of five factions. In the book a girl gets a new chance at life when she gets to choose what she wants to be. She left her family to become a dare devil. She is trying to stay alive at this compound. But can she stay alive with the people that are there? I loved this book. I actually read it five times! This book can catch your eye just by the cover. I liked it because I like to read dramatic books. I know for a fact that others would love this book. I had recommend it to my friend and she loved it. When you finish this book you will want to get the next one. If you like DANGER you will like this book. One girl with very bad luck. One cousin who believes in witches. Jinx is the story of a teenage girl who just thought she had very bad luck, but later, her cousin proves to her who she really is. Jinx is an extremely interesting book because it has mystery which makes you want to keep reading to find out what happens next. I also like how there is a little romance, especially coming from a relatable teenage girl. 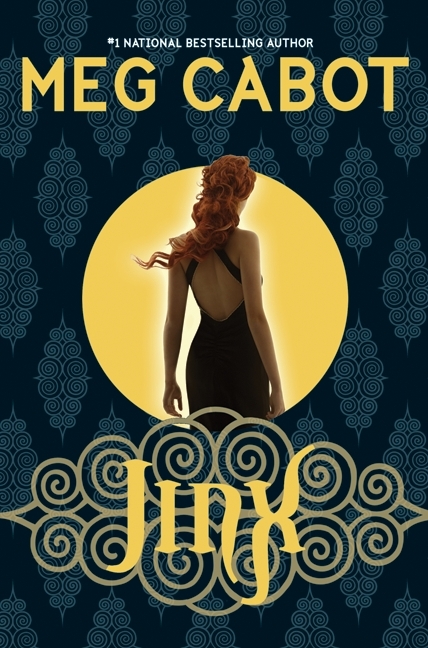 If you like mysterious stories with a twist at the end, you would love Jinx by Meg Cabot. Shanghai Girls is an amazing book that tells of a life of two Chinese sisters, both of whom have endured many hardships. Pearl, the main character, is completely different from her sister, May. They may envy each other, but in the end they know they are all each other has left. This novel contains many twists and incredible irony. You will not be bored reading this book! The novel starts as a happy setting but with each chapter comes a new problem and a new gruesome secret they must never tell. This novel is amazing in every way possible. Lisa See, the author, is known for writing about women joining together to endure life's obstacles. Pearl and May are different, but they complete one another's lives. In every tragedy and dramatic scene, they have each other. This book will bring you and your family closer and build a special bond. Something I found extremely interesting were the Chinese animals. When I was reading, I found out my animal, and I was amazed how the book exactly told my characteristics. I would recommend this book to anyone who is interested in learning about how Chinese culture differs from your culture. So, If you like adventure and romance novels, you will enjoy this book!